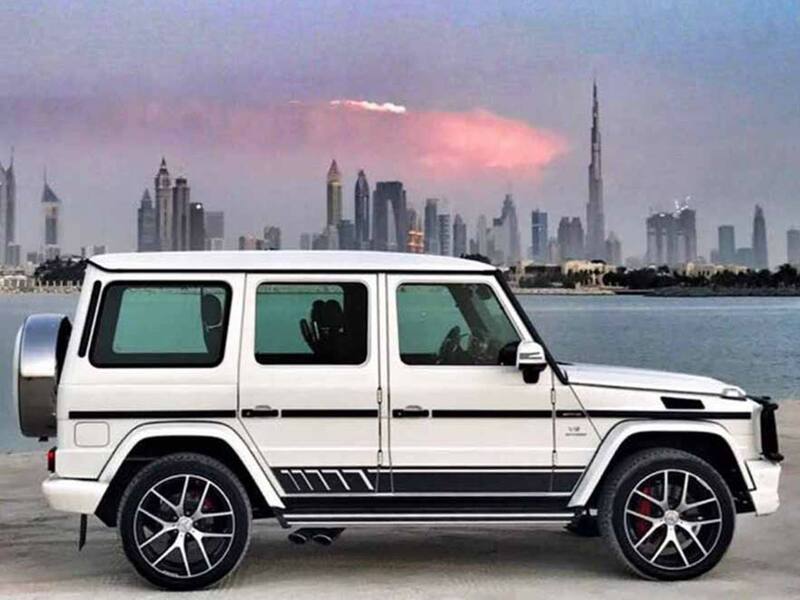 The Mercedes-Benz G63 AMG 2017 rental kicks up the Dubai travel experience with strategically implemented upgrades in both the appearance and power arenas. Quite possibly the best of the Mercedes-Benz G-wagons to date, the G63 AMG rental blends the past and present for a robust approach to the luxury SUV. If you are tired of the standard SUV rental fare, try on something new this season with the G63. This SUV rental is a fun way to experience Dubai and UAE in style. There is room to seat up to five passengers in the G63 wagon, making it ideal for group travel or sporting events. This SUV has been turning heads for over 30 years, with only minor exterior tweaks during its run. The interior is laden with leather and all of the modern conveniences we have come to expect from the Mercedes-Benz marquee. Standard features for the G63 include the following: Blind Spot Assist, Parktronic, Distronic Plus and Hill Start Assist. The powertrain is a twin-turbocharged 5.5-liter V8 pushing forth 544 horses. This enables it to catapult from 0-60 miles per hour in just 5.3 seconds regardless of its robust size. This makes the sometimes constant stop-and-go traffic of Dubai a breeze with the added pleasure of a highly responsive vehicle. Take on Dubai in comfort and style when you select the Mercedes-Benz G63 AMG rental. It is versatile enough to impress for a business function or a pleasure trip, get your hands on the wheel today with a fast and free quote! 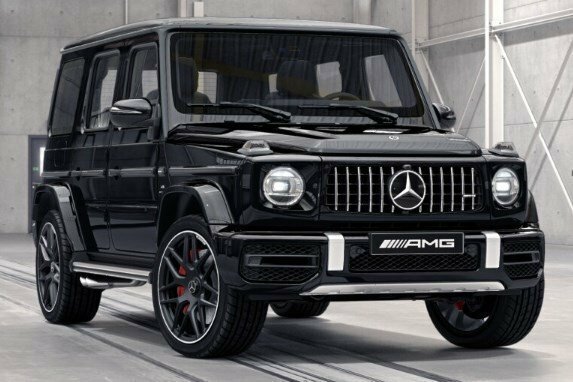 Rent Mercedes G63 AMG 2017 in Dubai, we strive to provide the best service in the area. At Rotana Star , we have many years of experience in the hire car field. As a result, we can bring value for money and top-notch service – guaranteed. A key reason for this is because we own our entire fleet of vehicles. This means we have more flexibility on price, unlike our competitors, who often lease their cars on a long-term basis. 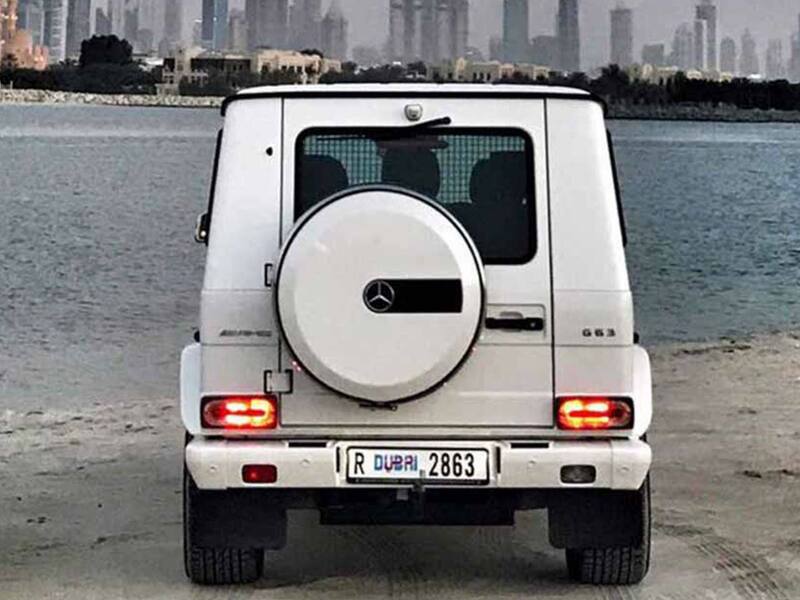 At Rotana Star, we make the process to rent a Mercedes G63 AMG 2017 in Dubai for rent easy. The first step is the browse our website to find a suitable price. After this, contact us by sending in a request via our online form or by telephone. We aim to get back in touch soon after to finalize the deal. When the time comes to deliver the car, we offer two options: either pick-up the car from our Dubai showroom or take advantage of our popular door-to-door delivery service. 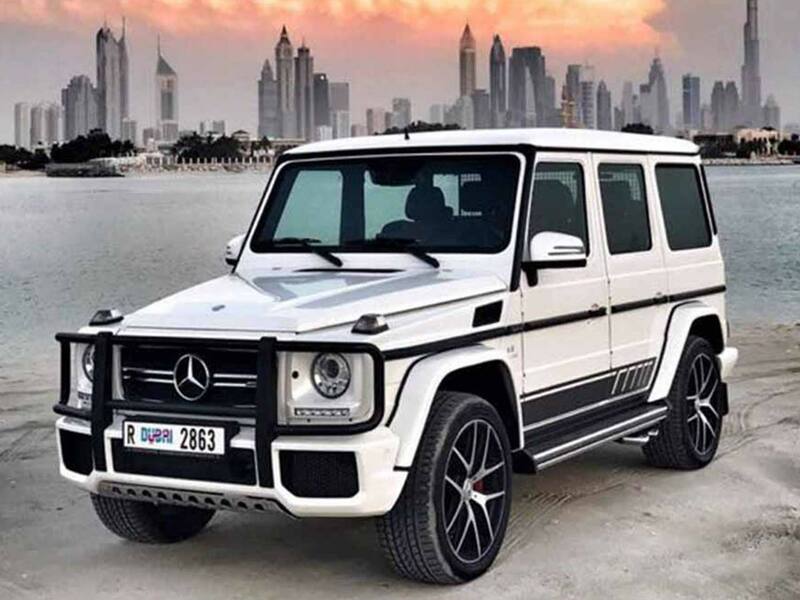 Our premium car rental services allow you the chance to rent a Mercedes G63 AMG 2017 in Dubai or other luxury brand cars at affordable rates. Book online or over the phone and collect your rent a car or get it delivered in Dubai.